You may want to consider independent living if you need minor assistance with activities of daily living. 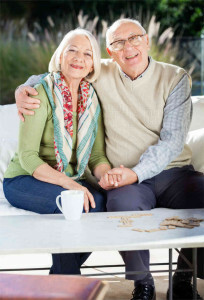 Seniors using independent living arrangements have their own space and are able to maintain privacy and independence. They can get assistance, for example in meals, maintaining health, recreational activities, treatment of diseases and cleaning and laundry services. By receiving some assistance may help residents to maintain their independent routine for longer. In a nutshell independent living communities provide a safe and independent environment with social and recreational activities for elderly people. Independent living communities best suit seniors who are very independent apart for few medical problems. In Continuing Care Retirement Communities are facilities that include independent living, assisted living, and nursing home care in one location. If you are in relatively healthy, but anticipate significant health problems, you should consider a CCR. Residents can switch from one level to another based on their individual needs within the CCRC. The main benefit of a CCR is that you only need to relocate once to a new environment and can maintain your independence for as long as possible. There are various residential care facilities offering different types of services, depending on the needs of individual. People with disabilities, mental health problems, or learning difficulties may often require residential care. Residential care homes typically offer meals and accommodation, help with personal care like bathing and dressing, around-the-clock nursing, physical and emotional care through short illnesses. Various Senior apartments or congregate care housing are apartments complexes restricted by age, usually 55 or older. Rent usually includes recreational programs, transportation services, and meals served in a communal dining room.